If you received a Notice of Default (NOD), All is not lost. 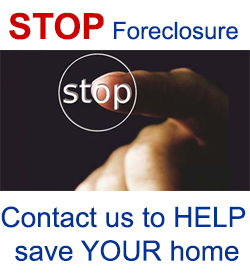 If you have missed mortgage payments there is still time to stop foreclosure and stay in your home. 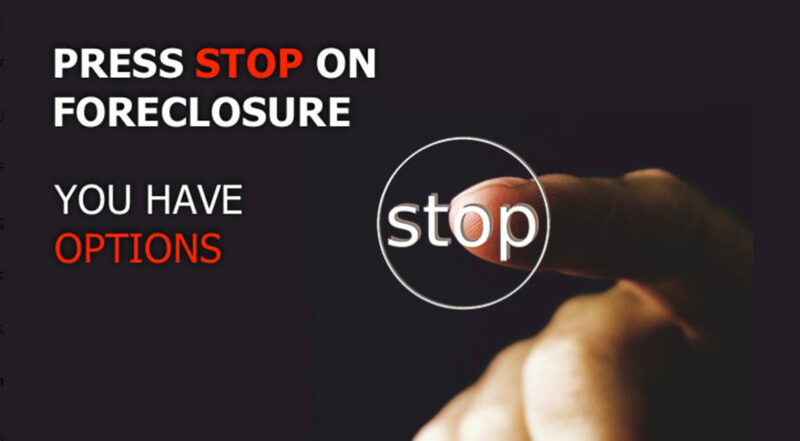 If you are having a hard time making the mortgage payments, take preventative action and avoid foreclosure to stay in your home. Here are some ideas to avoid foreclosure to stay in your home. Some of them are almost painless, others are a ton of work and don’t always work. Some can help you stay in your home quickly, others take a long time. Some have you working with professionals; others have you working with the government and family. Some are costly, others are almost free. All have some form of consequences. But you can avoid foreclosure to stay in your home. The first way to avoid foreclosure to stay in your home is the easiest if you can do it. Refinance with a new loan can create new terms, interest rates and monthly payments. Refi can be the least costly and least disruptive to your life. It can make your payment more affordable by lowering your interest rate or adjusting the terms of your loan. It creates no negative activity or event on your credit history. And Refi lets you stay in your home and avoid foreclosure. The repayment plan is an agreement between you and your mortgage company that lets you pay the past due amount over a specified time period to bring your mortgage current. It resolves your delinquency standing. It will catch up on your past due payments over an extended period of time. It is less damaging to your credit score than a foreclosure. And lets you stay in your home and avoid foreclosure. Forbearance is an offer by your mortgage company to temporarily suspend or reduce your monthly mortgage payments for a specified period of time. It gives you time to improve your financial situation and get back on your feet. It is less damaging to your credit score than a foreclosure. And it lets you stay in your home and avoid foreclosure. Loan modification is an agreement between you and your mortgage company to change the original terms of your mortgage. Loan modification changes things like the payment amount, length of loan and interest rate. It should reduce your monthly mortgage payments to a more affordable amount. It is less damaging to your credit score than a foreclosure. And it lets you stay in your home and avoid foreclosure. There are government programs that let you stay in your home and avoid foreclosure. A few of them are below. Remember government programs end over time. Also new ones come into action. Check out the fall out on all government programs. There may be some hidden or not well known issues. And with most government programs qualifying for them is a major issue. The Making Home Affordable © (MHA) Program is a broad strategy to help homeowners avoid foreclosure. Some of the programs modify or Refinance Your Loan for Lower Payments. The Home Affordable Modification Program (HAMP) lowers your monthly mortgage payment to 31 percent of your verified monthly gross (pre-tax) income to make your payments more affordable. The typical HAMP modification results in a 40 percent drop in a monthly mortgage payment. The HAMP program did expire in 2016. Principal Reduction Alternative (PRA) was designed to help homeowners whose homes are worth significantly less than they owe by encouraging servicers and investors to reduce the amount you owe on your home. Second Lien Modification Program (2MP) is where your first mortgage was permanently modified under HAMP SM and you have a second mortgage on the same property, you may be eligible for a modification or principal reduction on your second mortgage under 2MP. Likewise, If you have a home equity loan, HELOC, or some other second lien that is making it difficult for you to keep up with your mortgage payments, learn more about this MHA program. There are more creative ways stay in your home and avoid foreclosure. You can sell to an investor and lease or rent back the home. You can sell to an investor and lease back with an option to buy at a later date. You can help create a buyer’s group of friends and family. They can create a LLC (in California) and become the new owner and lease it back to you until you can buy them out. Staying in your home and avoiding foreclosure is a great option. 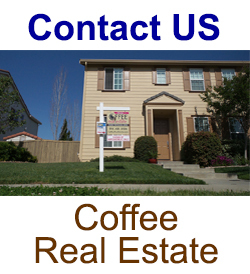 Contact Coffee Real Estate to review your situation and see how they can help you stay in your home and avoid foreclosure. 2 Responses on "How to Stop Home Foreclosure And Stay in Your Home"
Are HAMP and HARP still viable? What about the hardest hit program? Thanks for the good questions. The HAMP program did expire in 2016. The HARP program is extended to September 30, 2017. Keep your home program in California is a hardest hit program and is active.